You’re thinking about starting your CPR training, you know how important CPR certification is, you’ve seen that it’s possible to learn CPR online, and you’re weighing your options. Well, you couldn’t have come to a better place! Here at the CPR Heart Center all of our online CPR training classes are FREE. So no matter where you live or how busy your schedule is, you can become certified and be prepared when it counts. If you’re interested in pursuing CPR certification but you’re not sure where to begin, then reading our FAQs is a great place to start. If you’re asking yourself this question, you’re probably looking for a clear-cut answer. The good news is that the answer is YES! For those wanting to expand their knowledge about CPR and First Aid in order to be prepared for an emergency situation, online training is more than sufficient. One of the best parts about completing your training online is that each course allows you to learn at your own pace. Because there are no time limits and no specified amount of hours required, you can complete each class at your own pace. Take as much time as you need to ensure you have gained a thorough understanding of the subject matter so you can feel confident in passing the exam. Alternately, if you prior training or experience in the subject matter and are confident in your current knowledge, you can skip straight to the exam portion of the course. If you receive a passing score, you will have qualified for certification in just minutes. Once completed, your CPR certification will be valid for two years. Keep in mind that when the time comes for you to recertify, we’re here to help! The recertification process is simple. Because there is no cost involved for training, and you pay only for the certification itself, take as much time as you need to review the course material. Once you have completed the exam and received a passing score, your CPR certification will be renewed for another two years. It can’t get easier than that, right? What makes online CPR training such an increasingly popular option? What are some of the unique advantages of pursuing your certification? What about re-certification online? 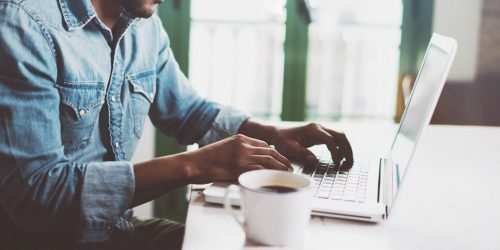 Although this definitely isn’t an exhaustive list of questions you may have about completing your training online, there are several compelling aspects of online CPR training that have a lot of people, just like you, getting pretty excited. See for yourself what all the fuss is about. If you’ve ever considered enrolling in a traditional First Aid or CPR course, then you already know what costs are involved. If you haven’t yet researched traditional courses like these, then brace yourself because these types of classes often start at several hundred dollars each! The cost of issuing and printing certifications in addition to fair compensation for qualified instructors can compound quickly, resulting in expensive enrollment fees. But there will be other costs as well, costs such as; paying for gas, lost work hours, time away from loved ones, and more. When you make the choice to complete your training online, you’re also making the wise choice to save both your valuable time and hard-earned money. An additional benefit to online training, when taking our courses specifically, is that no payment is required until after you complete the class, pass the exam, and request your certification! We want to be sure you are completely satisfied before you pay for a thing. When you take a traditional, in-person CPR course, there are often a good number of options available for various class dates and times. With so many options, you should have no problem fitting it into your schedule, right? Sometimes, sure! But the answer for many, more often than not, is no. Ultimately, classes like these expect you to make any sacrifice or adjustment necessary to meet the outlined requirements for completion. What you really need, is for a class to adjust and accommodate you. Part of what makes online learning such a popular option, is the fact that it allows you to learn at your own pace. The objectives of the course are designed to be flexible so you can study whenever it is convenient for you, taking the time to ensure you thoroughly understand the subject matter. This will create the confidence you need to pass the exam and receive your certification. Because our classes offer such flexibility, you can get started without any disruption to your life. Whether you have a vacation planned, have friends visiting from out of town, or are planning a road trip, you will have the luxury of being able to pick up where you left off no matter where you are or how much time you have. We live in a society that values the importance of instant gratification. We see something we want, and we get it, instantly. Why should your CPR certification be any different? It shouldn’t! And it doesn’t have to be. Another important benefit of online CPR training is that you can sign up and start working on your course at any time. Traditional courses rely heavily on planning and coordinating the balance of multiple variables. 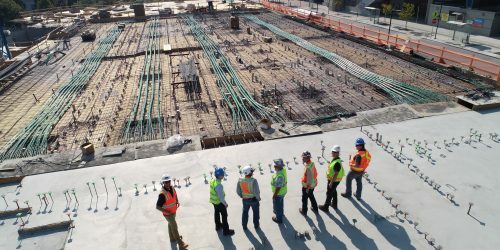 The focus is based on pre-scheduling dates and times that coordinate with the availability of pre-approved instructors occurring at prearranged locations. There’s nothing instant about putting all that together! Chances are, you’re probably not going to find a traditional course that begins just when you need it to and you’re going to end up waiting. With our online classes, availability is never an issue. Classes are accessible at any time and you can begin the moment you sign up. No wait, no fuss. Are online CPR certifications accepted by my employer and/or state? Courses are either accepted or rejected at the discretion of the party requiring the training, so it’s best to check with someone beforehand to ensure the course you are taking, has been approved. But, our program is nationally recognized and accepted by most employers. The good news is that our classes have been designed and developed by providers who have received their training directly from the American Heart Association. This means that every course, including all materials and information presented in the course, are guaranteed to meet the highest national standards and expectations. Knowledge of this quality would be valuable for anyone interested in learning whether it meets the requirements of an employer or not. Keep in mind that for many employers, our training is more than adequate to meet their requirements. Our certified learners are located throughout the world, solidifying our commitment to provide a comprehensive and thorough education for all students. Traditionally, you would sign up for a CPR course, pay the enrollment fee, complete the course, and pass the final assessment. What happens if you don’t succeed? Unfortunately, you’re expected to start over, including paying the enrollment fee, again. This process repeats until you can successfully complete both the course and the final assessment. Here at the CPR Heart Center, we do things a bit differently. That’s it! If you don’t pass the exam on your first try, no big deal. Just study and bit more and try again. We won’t ask you to pay for your certification until AFTER you’ve passed the test. Once you’ve completed the class and completed the purchase of your certification we will email a copy of your certificate and mail a hard card to keep with you at all times. 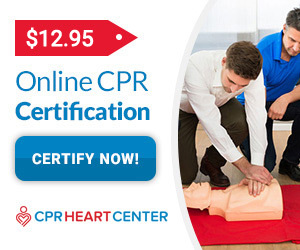 With the CPR Heart Center, obtaining certification is quick and easy for everyone. Far too often we hear stories of people experiencing a sudden crisis and are in need of immediate medical attention. Sadly, far too often, the only people on the scene have no First Aid or CPR training. All they can do is call 9-11 and then wait. A medical emergency can happen anywhere, at any time, to anyone. Nobody wakes up in the morning and plans to begin choking at lunch or to have a heart attack on their way home from work. But, it happens and when it does, it’s important to be prepared to help. Although many people view the act of saving lives in medical emergencies as a responsibility only medical professionals can achieve, CPR training increases the standard of care until the medical professionals arrive. This greatly improves the likelihood of an individual to survive and recover from a medical emergency. Far too often when a sudden crisis occurs, people find themselves looking at each other and hoping someone else knows how to address the situation. CPR training gives people the confidence and knowledge to respond quickly in these situations. A common reason people don’t appropriately respond in emergency situations is that they simply don’t know what to do. With proper CPR training, you’ll know exactly what to do and will be able to guide those around you to help too. By springing into immediate action, you will be able to keep the situation calm and give efficient care to those in need. The CPR Heart center has provided certifications to over 790,000 individuals so far and that number continues to rise. These extraordinary people have applied their skills to millions of emergency situations and have positively affected even more lives. Our courses make it possible for you to do the same. Which CPR course do you recommend for healthcare professionals? When it comes to medical emergencies, healthcare professionals are held to the highest of standards. That’s why we have developed class specifically designed for them. These courses include; Healthcare CPR/AED, Basic Life Support (BLS) Training, and the Bloodborne Pathogens class. What types of classes are available online? 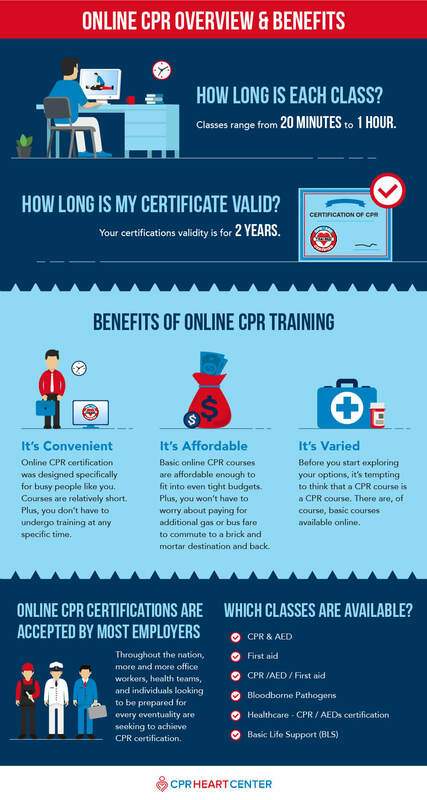 Here at the CPR Heart Center, we offer self-paced, web-based courses to people searching for certification. This means that you can access our learning platform through a multitude of devices, twenty-four hours a day and seven days a week. It simply doesn’t get any more convenient than that. Which Class Is Right For You? Take Your Pick! You don’t have to be a doctor to know that the medical consequences of going into cardiac arrest, choking, drowning, having a stroke, could be devastating. Our CPR/AED course covers CPR for adults, adolescents, and infants as well as how to use an Automated External Defibrillator or AED to restart a person’s heart. In situations where an injury has occurred, an emergency responder may have mere minutes to choose the best course of action. This course covers Good Samaritan Laws, medical kit materials and supplies, wound types, heart and lung-related emergencies, as well as fractures and breaks. After completing this course, you’ll never be anywhere unprepared. If you see the merits of the CPR/AED course but you would like to see what First-Aid course has to offer, then why not look at our combined course? Learn everything that you would from the First-Aid course as well as the CPR/AED course without having to pay for both certificates. Save time and money in this win-win situation. A sad reality of working around people is that bodily fluids can carry pathogens and could present risk for further complications and/or infection if not handled properly. Our Bloodborne Pathogens course takes a look at the symptoms of different diseases such as HIV , Hepatitis A, and others. This course discusses best practices regarding how individuals and people in their workplaces can handle such injuries in a safe and responsible manner. As we touched upon earlier, healthcare providers are held to extremely high standards when it comes to the care and management of people who are in medical distress. Our Healthcare CPR/AED course is designed specifically for healthcare professionals. This in-depth course will teach you everything you need to know and more. The BLS certification course offered by the CPR Heart Center covers virtually everything mentioned in the previous courses including CPR, AED, Bloodborne Pathogens, and First-Aid. Healthcare professionals, voracious learners, and workplace managers are just a few of the people who could benefit from taking this course. If you have more questions we would love to hear from you! Simply go to the Support page and complete the contact form. We will get back to you as soon as possible.